Down, down, down the rabbit hole we go…again! Alice is back in Wonderland, but this time, she knows exactly where she’s going – to the Mad Hatter’s tea party! There’s only one problem: she has absolutely no idea how to get there. With the help of plenty of familiar faces, Alice might just find her way. Of course, that won’t come without a touch of nonsensical silliness and dash of wondiferous fun! 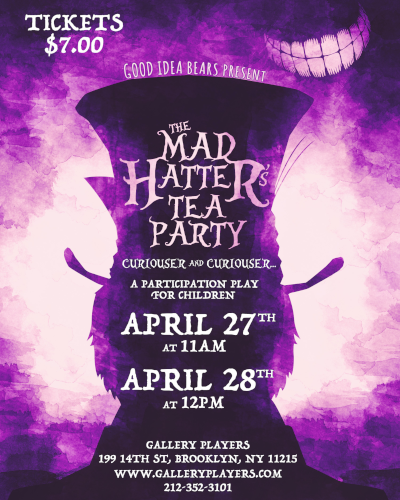 There’s nothing like a tea party in Wonderland…join us and find out for yourself!